I love Camtasia and have been an avid user of Camtasia ever since 2012. 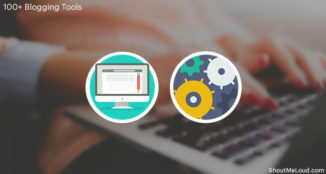 Recently, the Camtasia team launched the 2019 version of Camtasia which is equally solid. However, as Camtasia is not free, it’s not appropriate for those who are looking for free or a cost-effective solution. If that sounds like your story, well, here I am, sharing some of the best alternatives to Camtasia screen recording software. There are many video recording software’s which you can use on your desktop to create a screencast or even to record yourself. Adding the video effects and so on. 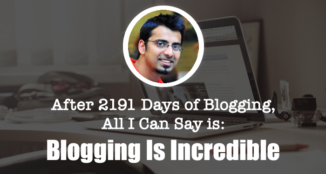 They offer a 30-day free trial, which is an excellent way to start with this powerful piece of software for your video blogging. Even Harsh uses the same software for his YouTube channel, and it’s also listed in ShoutMeLoud’s blogging tool-kit. The fact that it is available for both Mac and Windows along with its ton of unique features, it is a viable option for those who make a good deal of instructional matter and video guides for their YouTube channel. Camtasia Studio offers out of the box features that would make you forget the need for any other software for making instructional content. Camtasia Studio allows you to create powerful screen recorded videos with additional content of your own, ready-to-use themes, animated backgrounds, graphics, callouts, and clickable links in videos that make it the best software to engage your audience. Given all its benefits, its latest version is priced at a steep $249! That’s a lot for someone who releases occasional instructional videos or content. The price for the software is justifiable if the user is a regular maker of such content. It is worth a one-time investment for such users. You could also download the free trial and see for yourself if you decide to make the plunge. This software would definitely not disappoint you. If you want to see what kind of videos you can create using this amazing video tool for bloggers, check out ShoutMeLoud’s official YouTube channel. Now, what if you release occasional instructional content and you are planning on splurging $249 on this software? Well, we’ve got you covered. There are a few great FREE alternatives to Camtasia Studio to bring out the teacher in you. 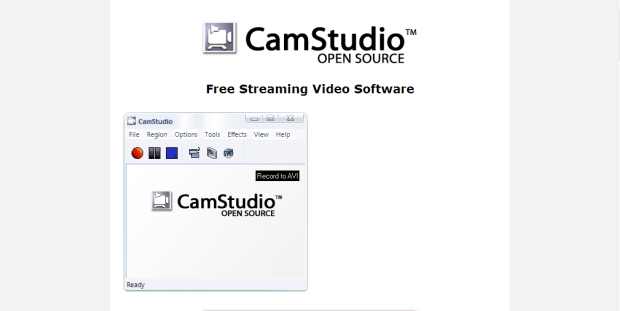 CamStudio is an open-source alternative to Camtasia Studio. It has been updated very recently, which removes the bugs in its previous versions. CamStudio is great to record on-screen and audio activity on your computer and create AVI video files. CamStudio can also convert it into streaming video files for online streaming of the same. Although it lacks a few features from Camtasia, this definitely is a must for occasional instructional video producers, based on a Windows system. 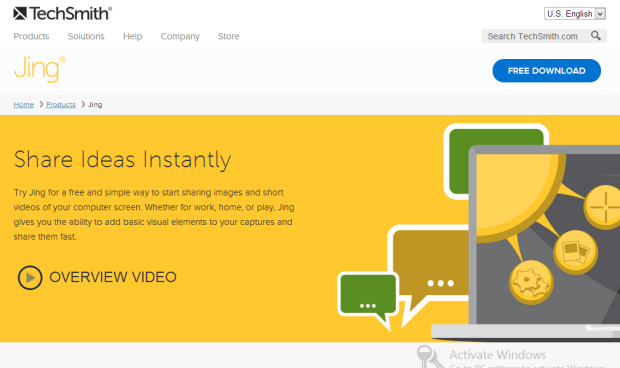 EzVid is another excellent Camtasia alternative for the Windows user. Ezvid’s latest version includes screen recording, which can capture ongoing activity on your screen. This software does not support video editing, like in Camtasia Studio. EzVid captures videos in clips and adds to the timeline and you can edit it from there, no need for other video editing software’s. Ezvid also supports uploading your captured screencasts to YouTube. It supports a wide range of video formats for user convenience. Expression Encoder 4 is the latest version of the screencast software by Microsoft for Windows-based systems. 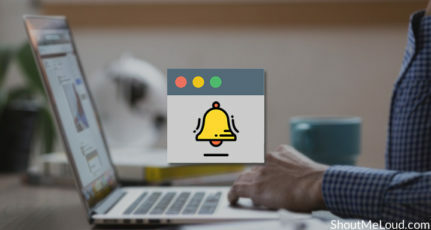 With Expression Encoder 4, you can record a screencast of your screen activity while simultaneously capturing the webcam video and audio narration from a microphone. Alternatively, you could also capture screen activity first and later add a voiceover, using its Audio Overlay feature. Its only limitation is you can’t do videos longer-than 10 minutes. For longer videos, you would have to upgrade to the Expression Encoder Pro version. Jing is one of the great free tool by the same developer – TechSmith – for both Windows and the Mac systems. However, its only drawback is that it allows users to only record screens up to 5 minutes. For recording beyond 5 minutes using this software, you may have to upgrade to the pro version. Jing is a great tool for recording demos, presentation, and how-to tutorials. It can capture audio the same time it records your screen and you can also customize the area it captures. 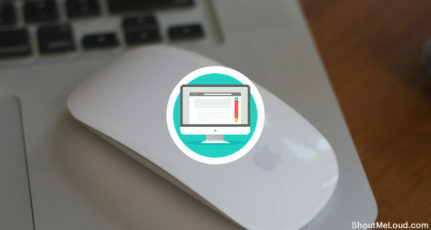 Screencast-O-Matic is basically a web-based screen recording tool, but it also offers standalone software for both Windows and the Mac systems. The web-based application requires Java to record screencasts. 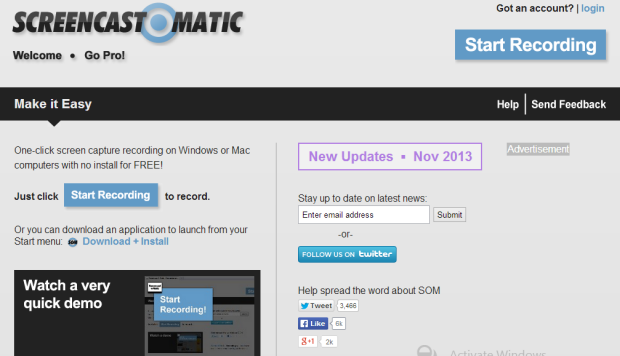 Screencast-O-Matic’s drawback is it can only record videos up to 15 minutes. For videos longer than 15 minutes, you will need to upgrade to their pro version. Also, another major drawback is that it doesn’t allow customizable screen area selector, it has some pre-defined screen areas for users to choose from. Screencast-O-Matic allows to add ‘moment-specific-notes’ for users to skip to their chosen part. 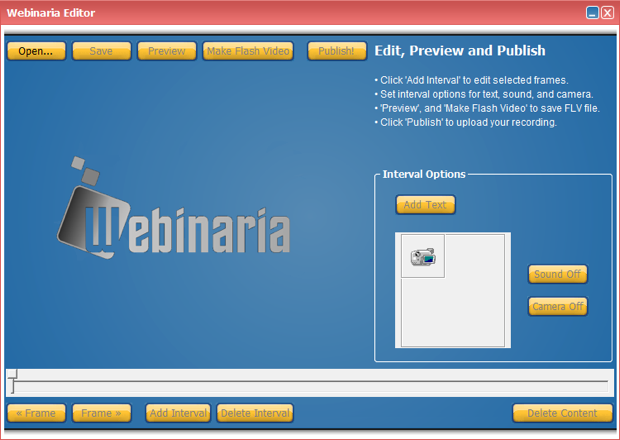 Webinaria is another free screen recording software that supports only Windows users. This software, just like the previous ones, can be used to record any activity on your desktop screen. It supports audio narration along with the video and can upload to the web in FLV format. You can edit your recordings by selecting the screen recording area and also option to edit video quality. This software only outputs videos in FLV format, so for AVI or other formats, you need to use an independent video converter. Webinaria also allows users to add text inputs in its videos. Which software works the best for your screencasts as a Camtasia alternative? Shout out your thoughts and comments below. 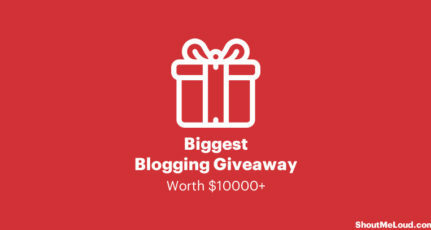 A Shouter whose articles got mentions from the likes of The New York Times, Kissmetrics and AllTopStories. He writes articles, novels and poems; spends most of his time reading everything he could get his hands on. Srikanth is currently pursuing his Masters from The University of Illinois and holds a Bachelors in Electronics Engineering from the University of Mumbai. He is a programmer, a motivational writer and speaker. thanks srikanth, i love all of them before i was edited video effects with “adobe after effect’ but its so risky for beginners now and i want simple editings these tools are very familiar to my video editings. very smart tools…. I have many users using Google Hangout to capture Screen these days. Thanks for bringing this these resources to our attention. I was familiar with Jing, but hadn’t yet used any of the other programs before your post. I had only previously used Camtasia Studio, but after giving Cam Studio a try, good call. It’s a viable cost-effective alternative. Thanks again! 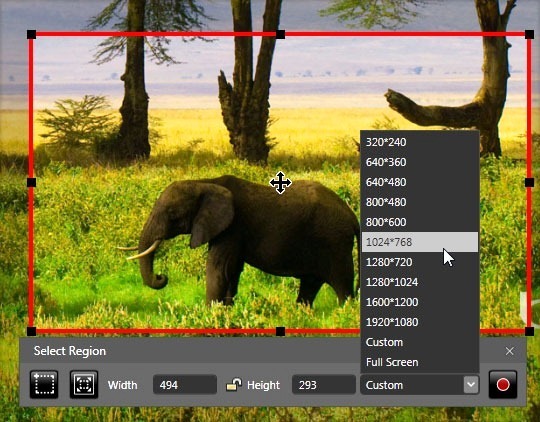 Screen capture Professional’ is another great option, and importantly free as well. Should try it ! Thank you for great list Srikanth. Camatasia and Jing are very good and simple tools. Along with this FastStone Capture is another great alternative software. I sometimes make videos over cam-studio and it works great for me. I will try others as well now. Thanks for making the list of free recording software. Not to mention Srikanth you are a great interpreter. Hope to see more articles from you. I am still using Camtasia to record my videos but now I think it’s time to give a chance to others after seeing your list. I’ve used Cam Studio in the past and found it to be a pretty good alternative. It was a little challenging to edit videos back then, but I imagine they’ve improved the options for recording, pausing, etc. TechSmith is now offering monthly subscriptions on Steam for Camtasia. So if you only make occasional videos, you can purchase it for a month and then stop the subscription the next month as needed. thanks for this list: I dont know, but I cannot get camtasia to work on my window 8, not sure what is going on: I used it on my old vista laptop with no problem. Anyone know what parameters might be holding from working on windows 8? I have try Camtasia Studio, and i think Camtasia is the best choice for me. We use Camtasia for small projects and premier pro for large projects, and we have tried few of these before purchasing camtasia 9 and found out that Camtasia is very easy and best for everyone. You can also get camtasia for monthly subscription on steam for Rupees 369. I have Camtasia Studio in my pc, and i think Camtasia is the best choice for me. I like CamStudio program, It is best choice for me. I like making videos. All of them I love one, CamStudio program, It is best choice for me. I like CamStudio program, this is my best choice. 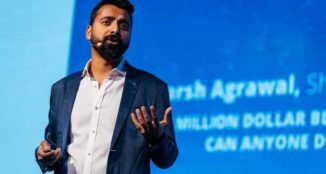 This is a nice article! Thanks for taking the time to share it. I am currently using the Acethinker Free Screen Recorder Online for recording anything on my screen. I can use it for making tutorials that I post on my blogs. It is very easy to use. It is able to record audio coming from the system and microphone. It can also record webcam videos. You may give a try and perhaps include it in your list next time.